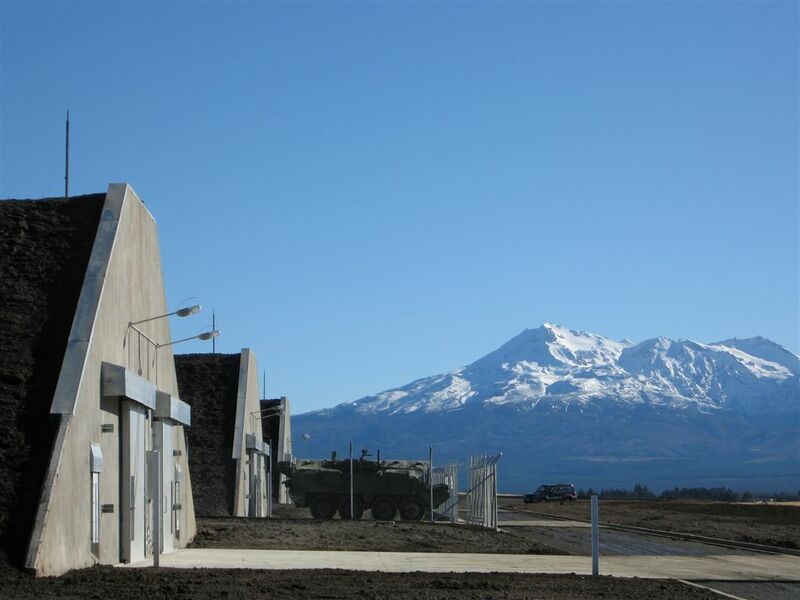 Spantech was contracted to design and construct five Spantech 23 metre Explosives Storehouses (ESH) and an Ammunition Preparation Building (APB) at the Waiouru Military Camp. Waiouru Military Camp is a New Zealand Army facility in the central North Island of New Zealand. It is often referred to by soldiers as the home of the army as it houses the army marae and is the base where all New Zealand Army soldiers complete their initial basic training. the efficiency and economy of a direct procurement contract with Spantech. 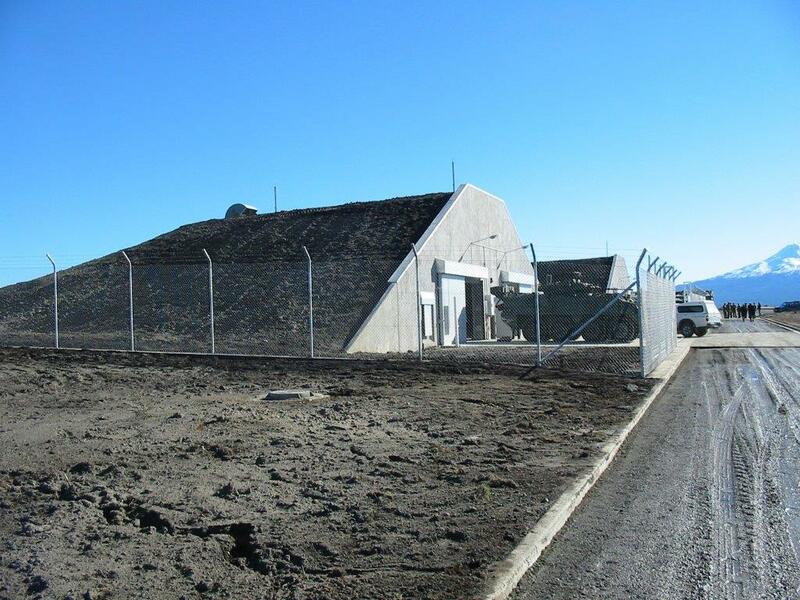 The Ammunition Preparation Building (APB) is designed to NATO specifications. The design features extensive use of the Spantech 300 Series straight panel. Spantech panels cover the main entrance and loading area with a single unsupported span of 8 metres and continue to cover the main roof. Spantech panels were also used for the external walls. Some internal blast walls were formed using Spantech panels as permanent formwork. 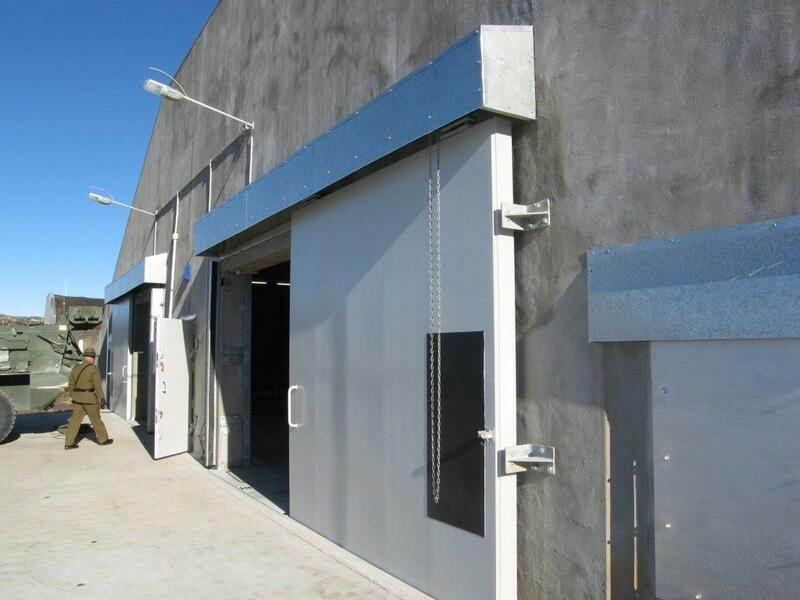 Spantech also designed and manufactured an array of internal blast doors. The Australian Department of Defence owns a munitions facility in New South Wales. 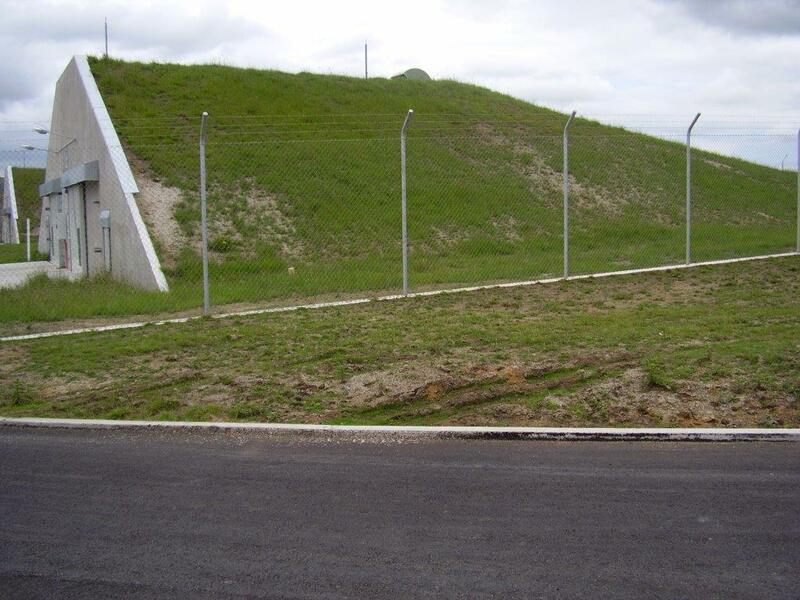 In 1991 Spantech was contracted to build nineteen Spantech 13 metre ESH at the facility. Read more.